Home > What is the difference between mental health and mental illness and is it important? Mental ill health is a major cause of workplace absence. Sally Campbell, Head of Clinical Development, Healix Health Services, outlines how employers can incorporate mental health into their wellbeing plans. Mental health and mental illness are the same thing aren’t they? If you are like me you probably never gave it a lot of thought. But there is an important difference and not understanding this leads us to overlook the importance of good mental health and the impact of poor mental health on our lives and work. Because we see mental illness and health as the same thing, too often we accept the situation or think that things will get better by themselves instead of taking steps to get mentally healthier. Mental health and mental illness are not interchangeable terms. Everyone has mental health just as everyone has physical health. Throughout your life it is likely that you will feel your mental health is better at some times than others. Just as we sometimes feel physically “under the weather”. However not all of us will experience a mental illness. Mental health or mental well-being relates to our emotions, thoughts and feelings, our ability to meet and overcome problems, to achieve our goals, to make social connections and understand the world around us. Good mental health isn’t defined by feeling happy and confident at all times; it is about living and coping well even when challenged by problems. We all have days when we feel stressed or overwhelmed by events in our life. Good mental health is the ability to look at problems realistically and address our concerns in a positive way. On the other hand, mental illness refers to a recognised, diagnosed condition. This is defined in the Diagnostic and Statistical Manual of Mental Disorders, 5th edition, (DSM-5) as a syndrome characterised by a clinically significant disturbance in an individual’s cognition, emotion regulation, or behaviour that reflects a dysfunction in the psychological, biological, or developmental processes underlying mental functioning. There are many different mental illnesses and individuals experience different signs and symptoms which affect the way an individual thinks, behaves or interacts with others. The illness may be long lasting and require the intervention of mental health services and medication and/or therapies. So it is possible to have poor mental health but no mental illness. The converse is also true. It is possible to have good mental health and a diagnosis of a mental illness. Mental illnesses are often episodic and can often be well controlled for long periods of time. For example, Andy* has bipolar disorder. He was diagnosed when he became very unwell at university and was an inpatient in hospital. Since then he has received treatment for his condition. He considers himself to be well currently, he enjoys his job, is in a happy relationship and has many fulfilling friendships and interests. He could be said to have a high level of mental illness but also a high level of mental health. We all agree that there is no on/off switch. We move along a spectrum ranging from good health, middling to poor health, to illness or disability throughout our lives. Serious health problems may last for a long time and have a significant negative impact on life, or may resolve quickly. Physical health and illness is common and we understand it. We accept that when we feel physically unwell, say with a cold or flu, it can make it difficult for us to perform at our best and that, from time to time, we may need to see a health professional for advice and perhaps treatment. We may need a day away from work to recover. Yet, still in these more enlightened times, the impact of poor mental health can often be ignored or overlooked. Anxiety about a relationship, a sick relative or child, loss of loved one or financial pressures can greatly affect how well we feel mentally and how we perform at work. But just as sometimes an individual needs to seek help from a professional to overcome a physical health concern there are times when they may need to seek help with a mental health problem. The problem is most of us equate seeing a counsellor or therapist with admitting they have a mental illness. To improve our mental health we must first understand what mental health means and how it affects us. The biggest barrier is to admit that we could improve our mental health and then to ask for help. We generally accept that health professionals may prescribe medication and physical therapies to help us to regain physical health. Yet we are often reluctant to accept that mental health professionals can help us regain mental health through the use of therapies and techniques that help us to think and respond differently to challenging situations and feelings. Therapists can teach new ways to think about the problems and stresses experienced in someone’s life and help them to find effective ways of responding to these issues. They can also learn the techniques of “mindfulness” to help focus on the “now” and acknowledge the positive aspects of their life. And these techniques can help improve mental health by providing new ways to think about problems, as well as developing a positive approach to everyday challenges. This in turn increases our feelings of control and influence which increases positivity and self-confidence. Organisations need to reassess their wellbeing strategy to ensure that they are supporting employees in a way that considers more than just their physical wellbeing. The ‘Mental Health and Wellbeing’ white paper outlines the current landscape and the challenges, as well as offering steps to help organisations establish a mental health strategy that mitigates the issues leading to absence. 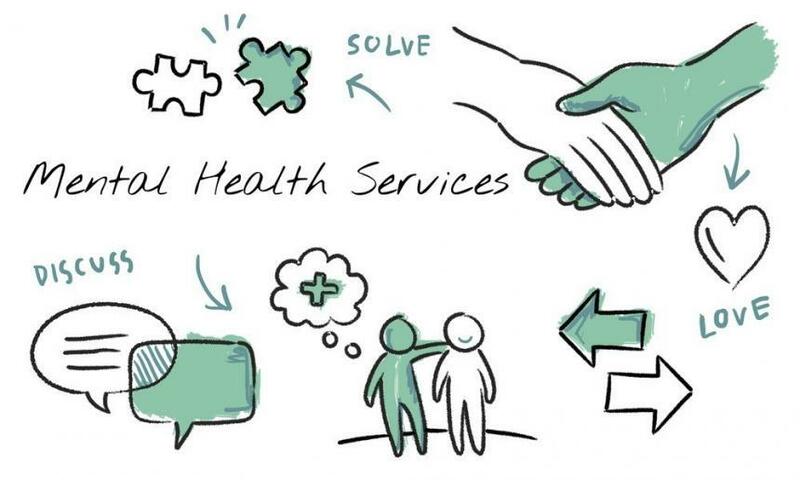 With a Healix Corporate Healthcare Trust, we are able to offer a Wellbeing and Mental Health pathway which aims to support employees at all stages by combining the services traditionally provided through an EAP with the services that have historically been offered as part of a corporate healthcare plan.